Are your kids dull? Are you worried that visiting relatives at Christmas will be really bored by them? Fear no more, terrible parents, as we have yet another fantastic giveaway from Drumond Park for you. 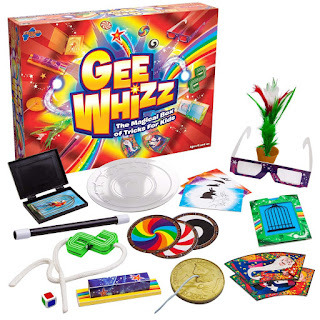 Win this amazing prize, and people will be queuing up at your door this holiday season to view the spectacle that is your child's magical ability. 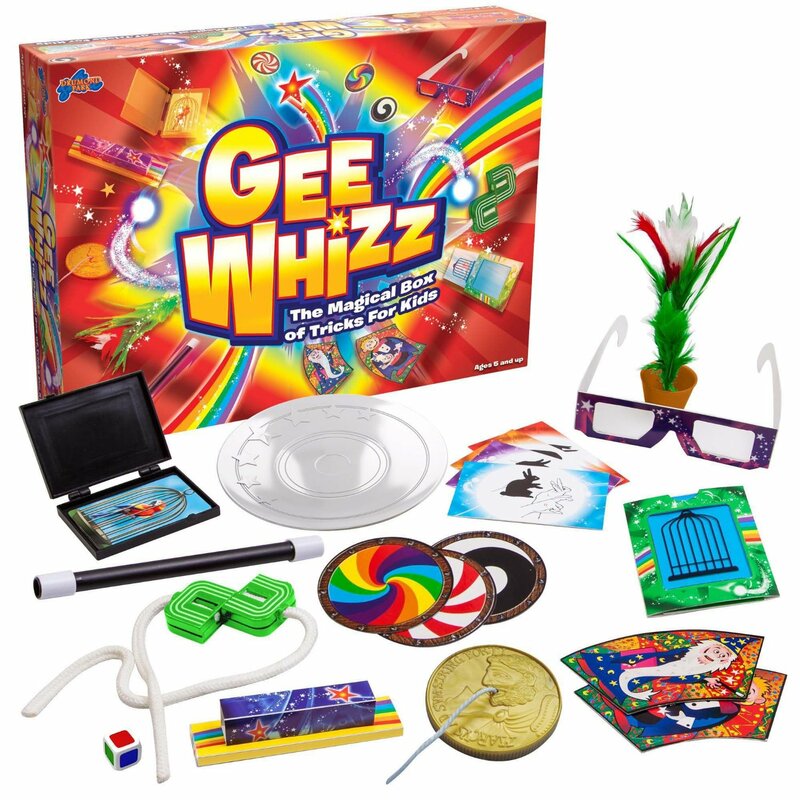 Up for grabs is the magic set Gee Whizz from Drumond Park. 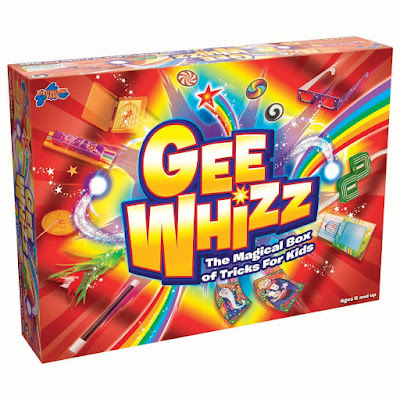 Unlike most of the products from our chums at Drumond Park, Gee Whizz isn't a game. 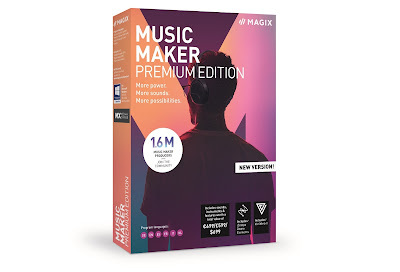 Instead this is a set of easy to learn magic tricks and illusions to wow both your kids and their audiences as they perform them. 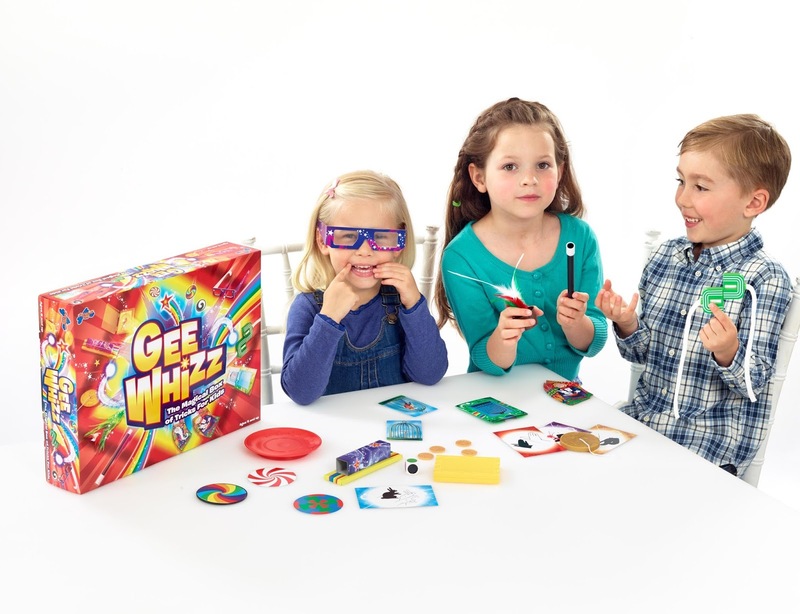 The box is packed with lots of things to master, including a magical flower producing wand. There are fascinating optical illusions to perform, as well as more complex puzzle-like tricks. Everything you need to stage your own magical performance this Christmas is included (except an actual live rabbit to pull from your hat – although we can never recommend you do that!). To enter simply get on Twitter and follow us (@thetestpit) and then retweet any tweet we've posted about the Gee Whizz competition before 6pm on 30th October 2015. The competition will close at 6pm on 30th October 2015 and the winners will be notified soon after. UK entrants only please. To win the entrants must be following The Test Pit at the time of the draw and have previously retweeted at least one related tweet. The judges' decision is final. For T&Cs please send us an email.